Over three years ago, people joined long lines to buy the iPad 2 at Apple stores around the world. These lines were even longer than those for the original iPad. In fact, they were longer than expected. What many don’t know is that Apple orchestrated these lines by not allowing pre-orders. They did not want a reoccurrence of short lines at Verizon stores when the Verizon iPhone was introduced. Competitors, such as Samsung and Microsoft, are drawn into the “Apple trap” by disparaging the waiting lines in their commercials. What they don’t realize is that disparaging competitors only gives them free brand impressions and free advertising — helping them to sell their products. Here are some of the many reasons why. Makes you look arrogant and insecure at the same time. While the early people in line for Apple products may have an agenda, the lines are already forming and growing. So are Apple’s profits. In spite of a smaller market share than its smartphone competitors, Apple still commands 60% of the profits. As Apple increases its distribution around the globe, its market share is likely to grow too. Many forget that when the iPhone was introduced only one major mobile phone service provider — ATT — sold the iPhone. The other big players in the US have been added in recent years and new deals with China Mobile and others around the world are expected to follow. This is likely to help Apple’s global market share. As Apple has shown, lines are a great way to do marketing. When combined with the brand advantage of uniqueness built into all Apple products, these lines are likely to keep the Apple profit machine going for the foreseeable future. Of course, Apple will have to keep innovating. If it fails to do so, it could open the way for more innovative rivals to build a beachhead that eats into its share of the market and profits. Stay tuned. No matter what happens, it will be interesting. On Chicago’s Magnificent Mile one store has made a big impact on an already flashy stretch of road. 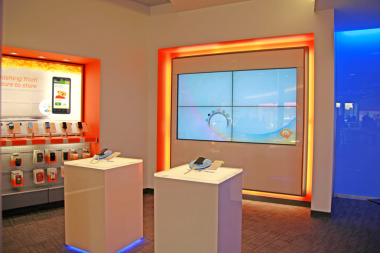 AT&T’s new retail concept goes way beyond cell phones. According to RIS News, their Chicago flagship features concept products that the company plans to roll out nationwide. As if their 2,300 retail stores weren’t proof enough that they are committed to their brick-and-mortar strategy, their latest concept store marks a decisive effort to push their in-store experience beyond what has existed for the last 100 years. 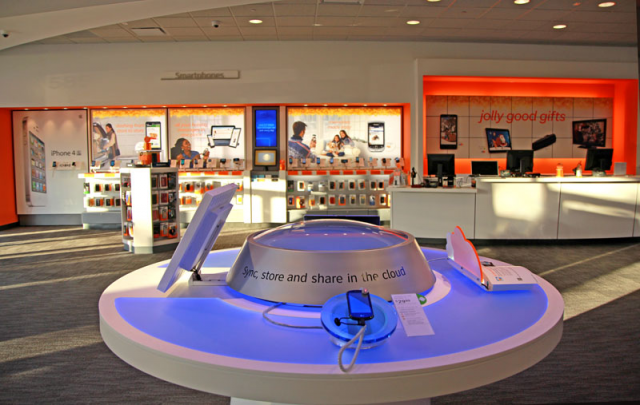 In addition to the products and services found at AT&T stores nationwide, the Michigan Avenue store includes AT&T Digital Life home security and automation services and a Connected Car that shows how wireless technology can aid driving. Customers can also find exclusive accessories by Chicago-area artists and other products unique to the Windy City. The Explorer Lounge to play and learn about apps that interest them. The App Bar where “app-tenders” serve up one-on-one or group demos, which are also displayed on multiple video monitors on the Apps Wall. An 18-foot-high Connect Wall that shows interactive content and product information visible to the entire store and passers-by. Products, apps and accessories organized by needs in the Lifestyle Boutiques, including Get Fit, Be Productive, Share Your Life and Chicagoland. The Experience Platform, where customers can interact with AT&T products for home security and automation, entertainment, music and automobiles.